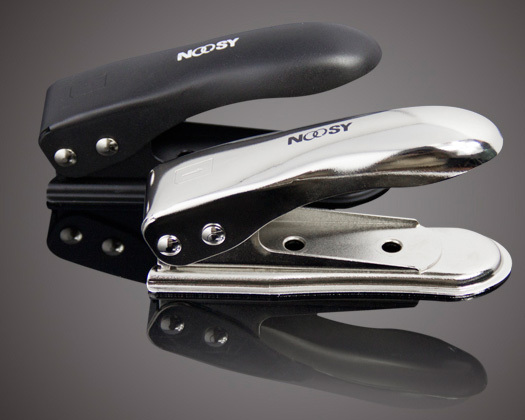 Use our NOOSY micro sim cutter to convert your standard sim card (15*25mm) to micro sim card (12*15mm), then you can use the cutted micro sim in your iPad, iPad 2 or iPhone 4. 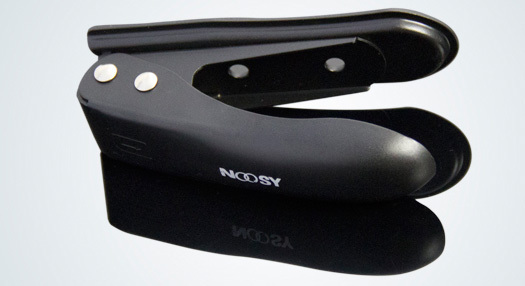 This is the 2nd version of NOOSY micro sin cutter, the out looking design is better for people's hand, more comfortable for cutting. 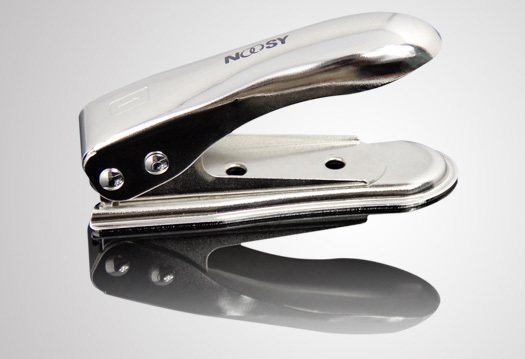 Without this cutter, you need to cut the sim card by yourself. Firstly, you need to measure the sim card, remark part-lines on the card, then you hold a scissor to cut the card, you need to be careful to avoid broken the sim card. Many people had a try, it's high risk to broken the sim card. 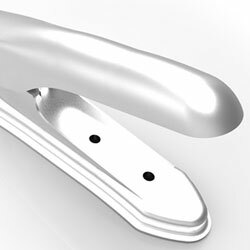 With this cutter, all the measurement is accurately done for the cutter, you just need to input the SIM Card in correct way. 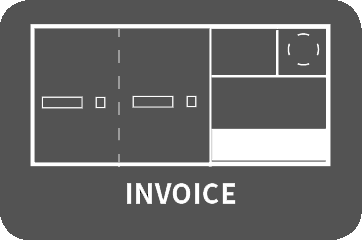 we have guarantee for that, if there is any broken happened (follow the correct cut way), we will compensate for that!